Each time I play a new game, I'll post a review of it here. 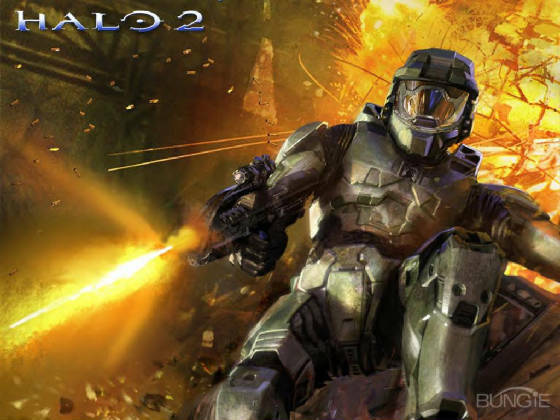 Halo2 Is the Sequel to the previous Halo game that came out earlier in the xbox's time. For those of you that dont know (which everyone does so why do I bother? ) heres the story of the first Halo. Now Halo2 starts off with the covenant , angry of their previous defeat coming to earth to destroy it. You once again the Master Cheif fights these aliens. With the discovery of another superweapon HALO, A large metalic ring capable of mass destruction. You also play as a second Character, AN Elite named The Arbiter. These two heros storylines eventually Connect. And could they possibly fight side by side in am upcoming Halo3? Well just have to see. An Amazing Shooter for the Xbox With amazing Visuals. Stunning Phisics. A great Story Line. And Xbox Live Compatability Makes this a game you have to pick up if you want to keep or make any friends.